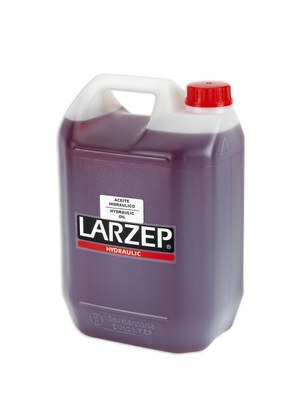 Use always original Larzep Hydraulic Oil or oil having the same technical characteristics. The use of any other fluid could damage the seals or equipment and will make the warranty null and void. AZ8901 for pumps and jacks. Additives to enhance film strength. Better conservation of the hydraulic circuits.